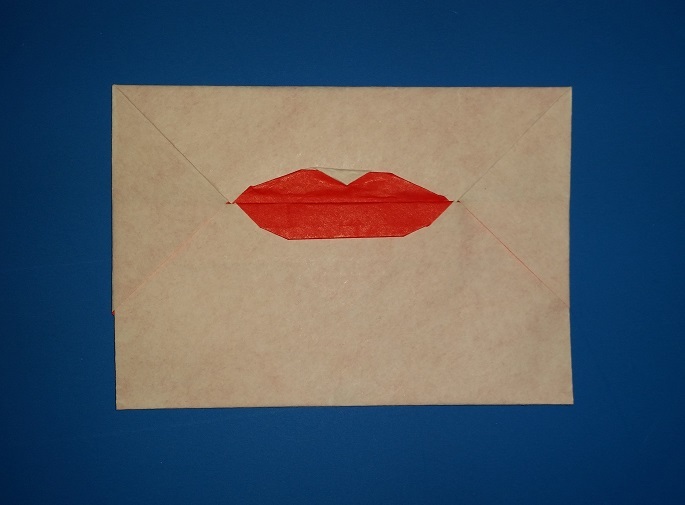 Letterfolds, envelope fold:s ways to fold a letter giving it a touch of class. Letterfolds are the folds you make so that the contents of a letter cannot be seen. The simplest letterfold is to fold a sheet in half. A common letterfold is to fold a sheet into thirds so that it fits into a standard-size envelope. However, there are other clever ways to fold a letter to give it a touch of charm. An envelope fold is when you take paper and fold it into an envelope. This is exactly what people did before envelopes were commercially available. Back then, people would write a letter, fold it into the shape of an envelope, and send it. The letter and the envelope was one and the same. Letterfolds and envelope folds are similar; the difference being that envelope folds tend to be more like “containers” whereas letterfolds tend to be like folded paper. Unless otherwise noted, the majority of these letterfolds are from Envelope and Letterfolding and the Envelope and Letterfold Association. If you have a model that you would like to share, or if you see your model here and would like it removed, please Contact Us. Diagrams are intended for personal use. Copyright of the models lie with the origami creators and designers. Please contact the designer and/or creator directly for non-private usage of a model and/or artwork.